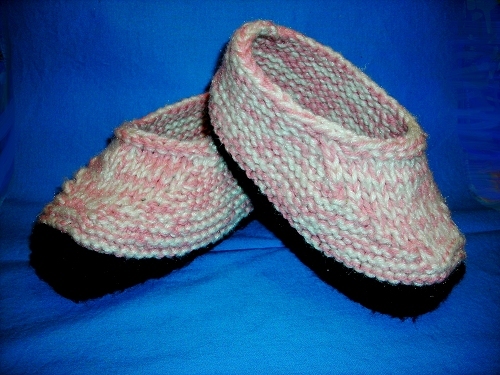 I've finished my Moccasin Slippers. This is the second pair of these I've made. This time I used straight needles and cast on as if my foot were 9 1/2" rather than 9". They fit, but they could really use some tweaking in the heel area. Maybe I'll get around to making another pair and try something a little different for the heel. The length seems better than the first pair.